MIRTEC exhibits its MV-6 OMNI 3D AOI System in Hall A2, Booth 329 at productronica. 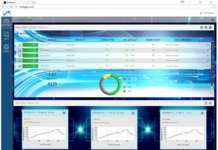 Additionally, the company will show the MS-11e 3D SPI, MV-3 OMNI Desktop 3D AOI and INTELLISYS software. The MV-6 OMNI 3D AOI Machine is configured with MIRTEC’s exclusive OMNI-VISION 3D Inspection Technology that combines the 15 Mega Pixel CoaXPress Camera Technology with MIRTEC’s revolutionary 8 Projection Digital Multi-Frequency Moiré 3D system in a newly designed cost-effective platform. MIRTEC’s 15 Mega Pixel CoaXPress Vision System is a proprietary camera system designed and manufactured by MIRTEC for use with our complete product range of 3D inspection systems. 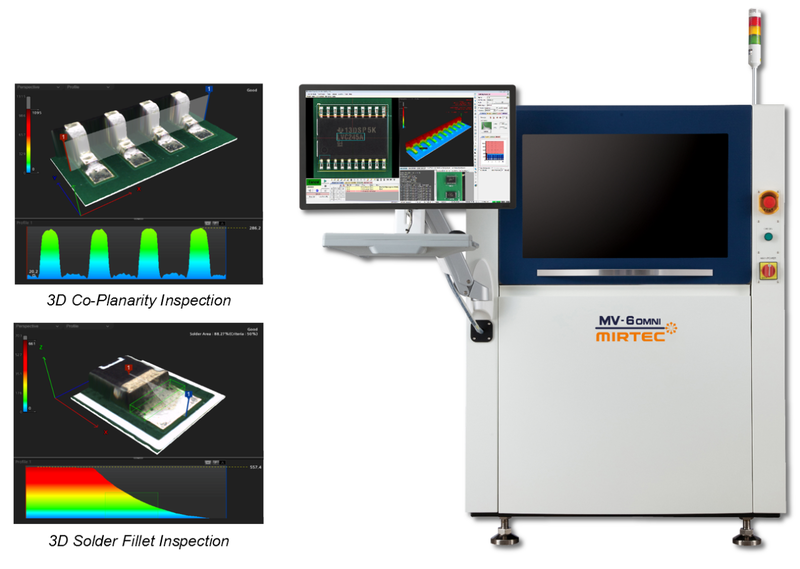 MIRTEC’s 8 Projection Digital Multi-Frequency Moiré Technology, provides true 3D inspection to yield precise height measurement data used to detect lifted component and lifted lead defects as well as solder volume post reflow. Fully configured the MIRTEC MV-6 OMNI machines feature four (4) 10 Mega Pixel Side-View Cameras in addition to a 15 Mega Pixel Top-Down Camera. The MS-11e 3D SPI Machine is configured with MIRTEC’s exclusive 15 Mega Pixel CoaXPress Vision System, providing enhanced image quality, superior accuracy and incredibly fast inspection rates. The machine uses Dual Projection “Shadow Free” 3D Moiré Technology combined with a Precision Telecentric Compound Lens and Precision Laser PCB Warpage Compensation to accurately characterize each solder deposition post screen print. The MV-3 OMNI Desktop 3D AOI Machine is configured with MIRTEC’s OMNI-VISION® 3D Inspection Technology which combines the exclusive 18 Mega Pixel CoaXPress Industrial Camera Technology with the revolutionary 8 Projection Digital Multi-Frequency Moiré 3D system in a newly designed desktop platform. For the first time, MIRTEC will introduce the NEW MV-9 SIP “System in Package” inspection system specializing in CSP components utilizing the MIRTEC 25mpx camera with combined 2D and 3D inspection technologies. The system is able to handle 0.1 mm ~ 3 mm thicknesses via a vacuum block.